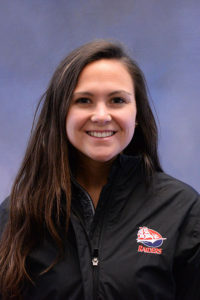 Tara Zollinger began her tenure as the head field hockey coach at Shippensburg University on Mar. 1, 2017. The 2017 season will be her first directing the Raiders. Zollinger, a 2013 University of Maryland graduate, arrived at Shippensburg having spent the last four seasons as an assistant coach at Syracuse University, working under two-time NFHCA Division I National Coach of the Year Ange Bradley. Among Zollinger’s primary responsibilities included integral roles as both the team’s recruiting coordinator and its lead instructor for offensive skill sets. Success has followed Zollinger throughout her career. She is a three-time NCAA Division I Field Hockey national champion, having helped coach Syracuse to the 2015 national title after winning two championships as a player at Maryland. As a coach or player, Zollinger has won four Atlantic Coast Conference (ACC) Regular Season Championships and made six NCAA Division I Final Four appearances. At Syracuse, Zollinger was a part of the school’s most successful seasons in history. She helped instruct a 2015 team that posted a perfect 16-0 regular-season record – the first team in 25 seasons to achieve the feat. The No. 1-ranked Orange also swept the 2015 ACC postseason awards, becoming the first team to do so since North Carolina in 1994. Under Coach Bradley, Zollinger also assisted in practice planning, technical development, scouting and video preparation, travel coordination and scheduling. One of Zollinger’s primary on-field responsibilities included scouting and leading the penalty corner unit. At Maryland, Zollinger was an attacker who won two NCAA Championships (2010, 2011) and two ACC Championships (2009, 2010) – reaching the Final Four in all four of her collegiate seasons. She received Maryland’s Kateri Simon Award in 2012, recognizing an athlete that persevered in times of adversity and displayed courage while bringing positive energy to all team sessions. Zollinger earned her undergraduate degree in sociology and was an active member of the Student-Athlete Advisory Committee (SAAC) and was a development assistant with the University of Maryland Terrapin Club, coordinating and organizing member and donor events. For the last four years, Zollinger has served as the head coach of the USA Field Hockey Futures program based in Syracuse. She has trained and developed elite high school athletes who were selected to represent the New York Region at USA Field Hockey competitions. As a club coach, Zollinger has worked with Freedom HKY in Maryland. Zollinger also boasts extensive experience competing and coaching overseas. In 2012, Zollinger played with the Westside Wolves club team in Perth, Australia and also coached various ages while studying abroad. She previously coached summer camps in Barcelona, Spain from 2010-11. As a prep athlete, Zollinger played on tours to Germany and Barbados with her home club team, East Coast Field Hockey. Other international experience includes a season with Club San Andres in Buenos Aires, Argentina. A native of Jeannette, Pa., Zollinger is a USA Field Hockey Level 2 certified coach and a graduate of the NCAA Alliance of Women’s Coaches Academy and a certified yoga instructor. She is currently studying toward a master’s degree in psychology from Lock Haven University.